Pass your level 1 music test with Tom Gates! 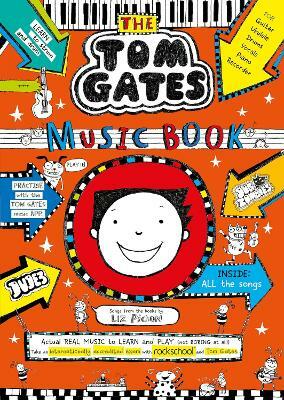 From DogZombies to Dude3, music is a HUGE part of the Tom Gates world. Learn how to play all your favourite songs from the series with REAL notation for: - Guitar - Ukulele - Piano - Recorder And with notation for drums and tips and tr... read full description below.